Cricket is a national passion, the one thing that unifies Pakistanis both at home and across the world. We truly do bleed green around the time of the World Cup. 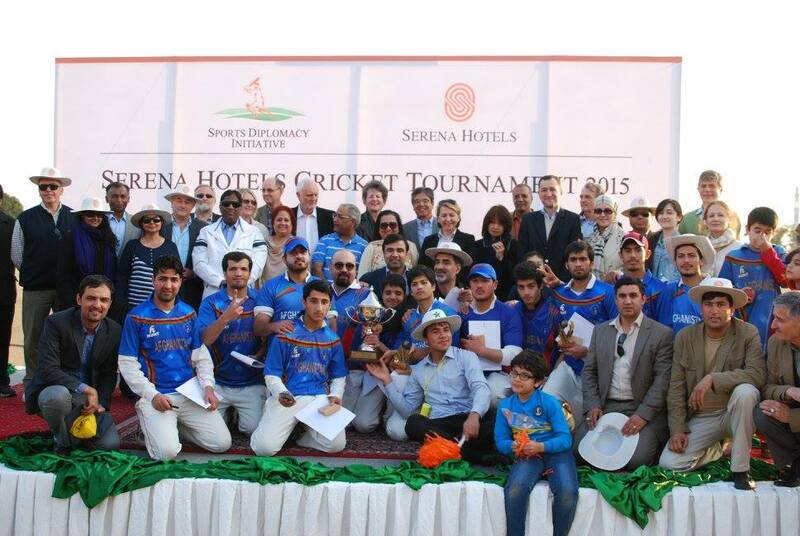 What better time than to launch the cricket chapter of the Serena Hotels Sports Diplomacy Initiative? Life is always bustling at Serena Hotels, but these past few weeks have been especially exciting. This is of course because of the Cricket World Cup 2015. The Opening ceremonies were held this past weekend in Melbourne and Christchurch. Here at home, we’ve embraced green for our boys playing in Australia. Ideally, we’d be cheering them along from front row seats in the stadium but we’re making do by cheering them from here as well! On 7th & 8th February, we held our first annual Cricket Tournament. Embassies participating in the tournament included the Indian High Commission, a combined team of Australian & British High Commissions (Excellencies Peter Heyward and Philip Barton were part of the team), the Embassy of the Islamic Republic of Afghanistan and a combined team of Sri Lankan & Bangladesh High Commissions. Excellencies Janan Mosazai, Jayalath Weerakody and Suhrab Hossein were present to support their players. Other strong teams included a team of the Ministry of Foreign Affairs and the Pakistan Air Force. The Afghans won the two day tournament, with a beaming High Commissioner H.E Janan Mosazai accepting the trophy on behalf of his team. It became apparent that the hunger for a good game of cricket was not satiated however, when the morning of the 13th rolled around. 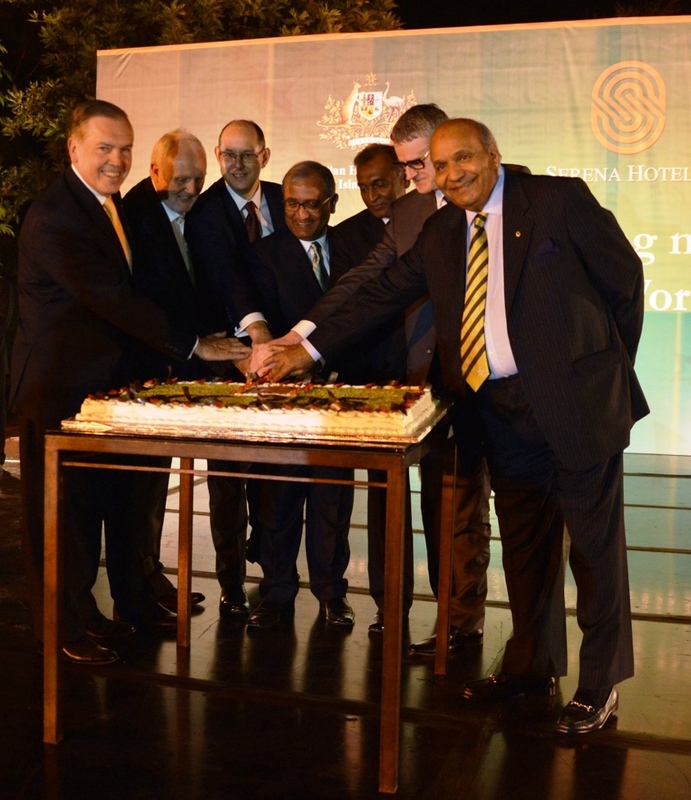 Befittingly, Serena Hotels, The Australian High Commission and the Pakistan Cricket Board teamed up on the day to bring the great cricketing nations together to play an Exhibition Match on the heels of the opening of ICC Cricket World Cup 2015. 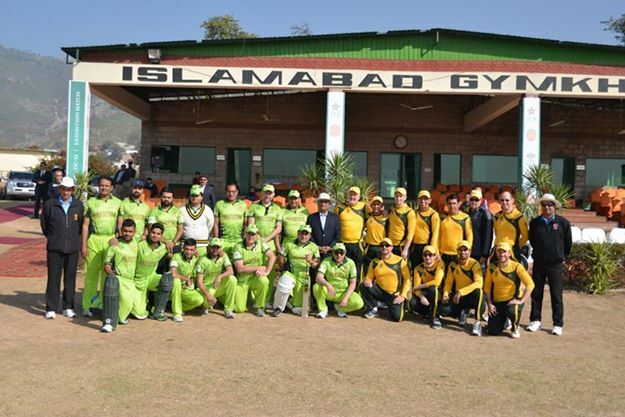 The Exhibition Match took place at Marghzar Cricket Ground between 10am and 4pm, with two teams – PCB XI and Diplomatic XI – playing a T20 Match. Cricketing icons such as Mr, Intikhab Alam (Pakistan and Surrey), former cricketing Captain of the Pakistan Cricket team and coach of the Pakistan team when it won the T-20 World Cup, played in the match, along with cricketing veterans such as Mohsin Kamal. The Australian High Commissioner H.E Peter Heyward, British High Commissioner H.E Philip Barton and Ambassador of the European Union Delegation H.E Lars-Gunnar Wigemark also took part in the match. The sunny morning began with the Diplomatic team winning the toss and choosing to field first. The PCB team finished the 20 over innings with a total score of 179. The Diplomats valiantly gave chose to the score and eventually managed to finish with a total of 119. The match was won by PCB XI by 60 runs. What’s left then? An exciting six weeks of cricket. We have many more events planned. The restaurants are live screening all the matches and our staff is decked out in green. There’s even a gorgeous lobby display out there with a clubhouse selling — get this! — cricket equipment from the famed Malik Bats. This entry was posted on February 17, 2015 by Serena Hotels in Uncategorized.